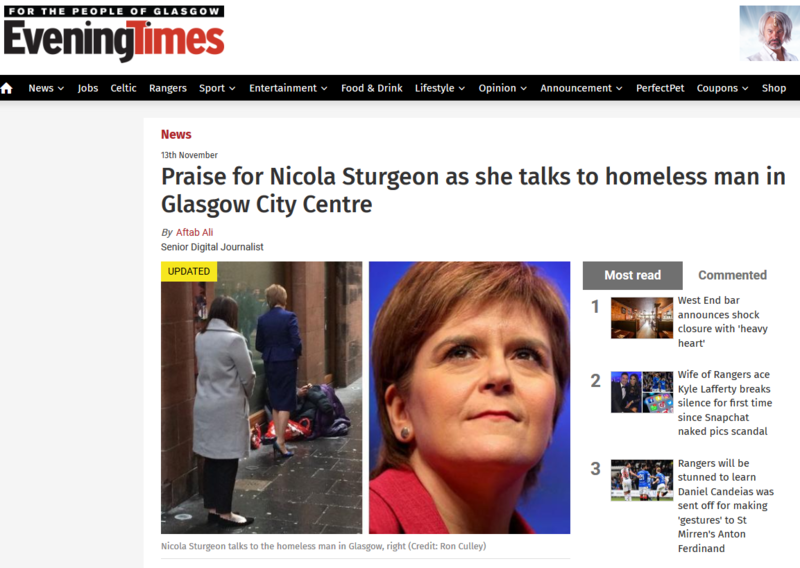 As Brits think empathy on the wane is SNP government helping to preserve it? More evidence of a difference that makes a difference as ‘Half of Scots pledge to donate organs after their death’? 90% of Scottish business people seem to have enlightened values. Another wee difference that would justify being a different country? Don’t we have Phillip Green types north of the border? To get many more going back a few years just search the blog for ‘differen’. Experiences of kindness were most common in Scotland and least common in England. Experiences of kindness in services are highest in Scotland and lowest in England. They’re actually higher in three of these, in Scotland. The contrasts with England are dramatic.